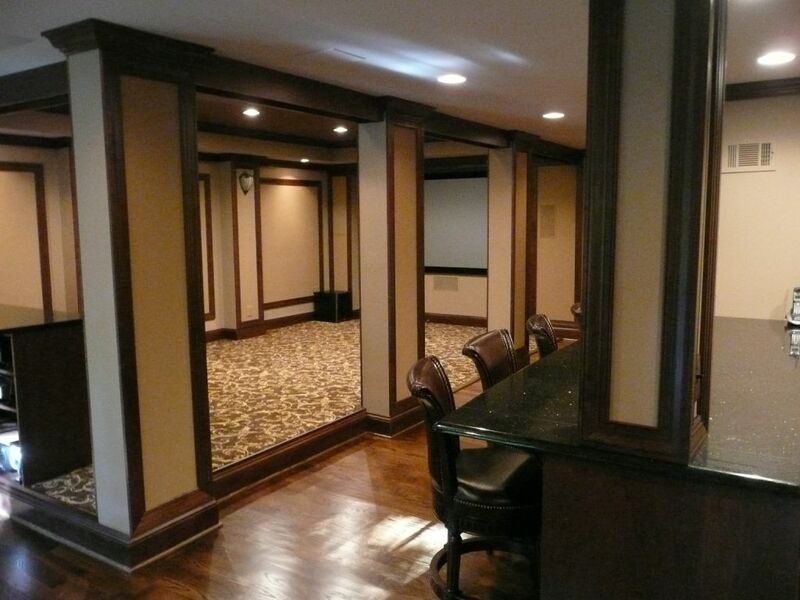 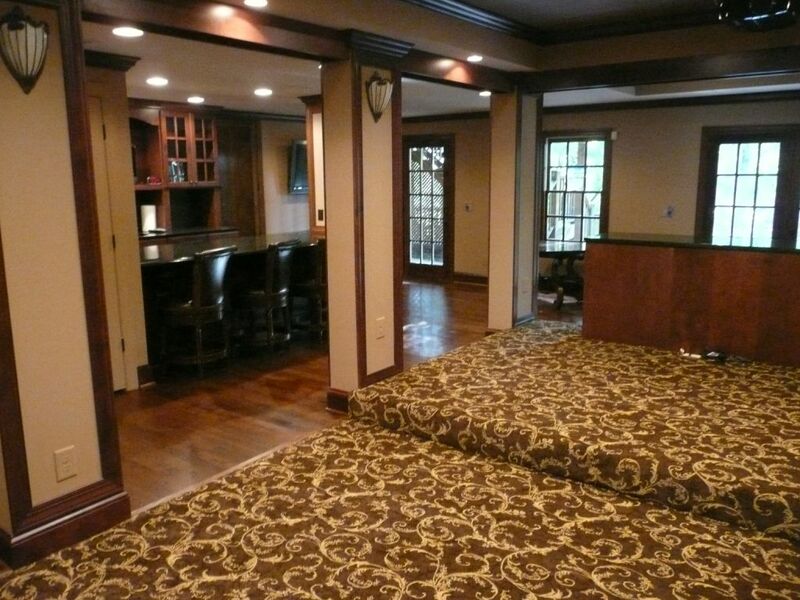 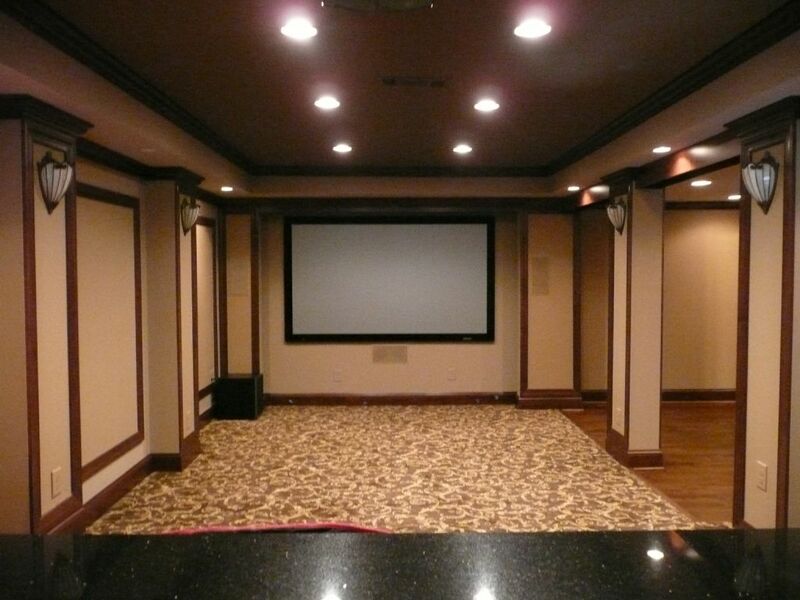 The home owners wanted to take this 900 sq ft unfinished basement and make it a home theater / bar / entertainment area for their family and friends. 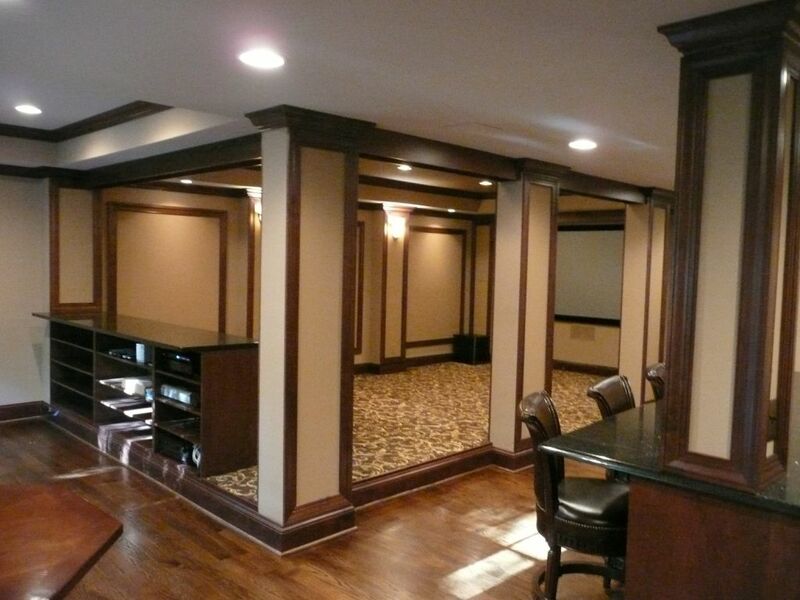 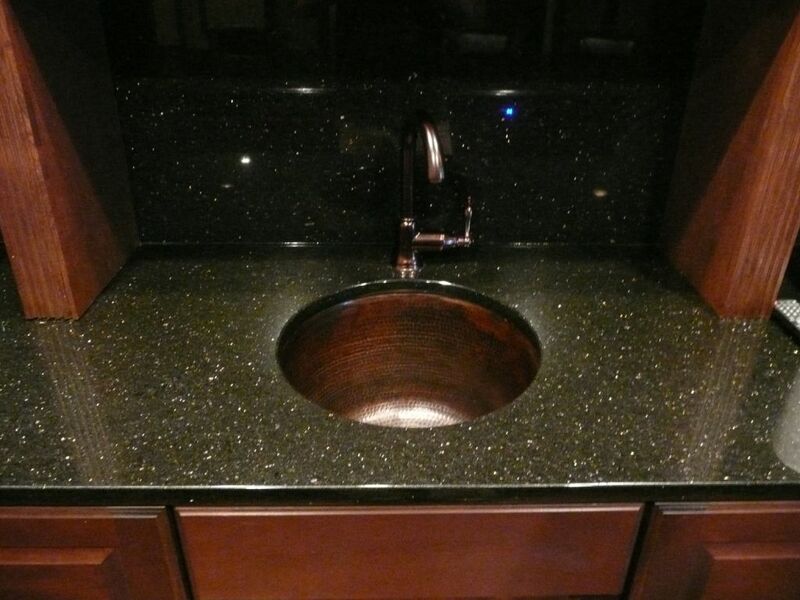 They also wanted to build a powder room to serve the space. 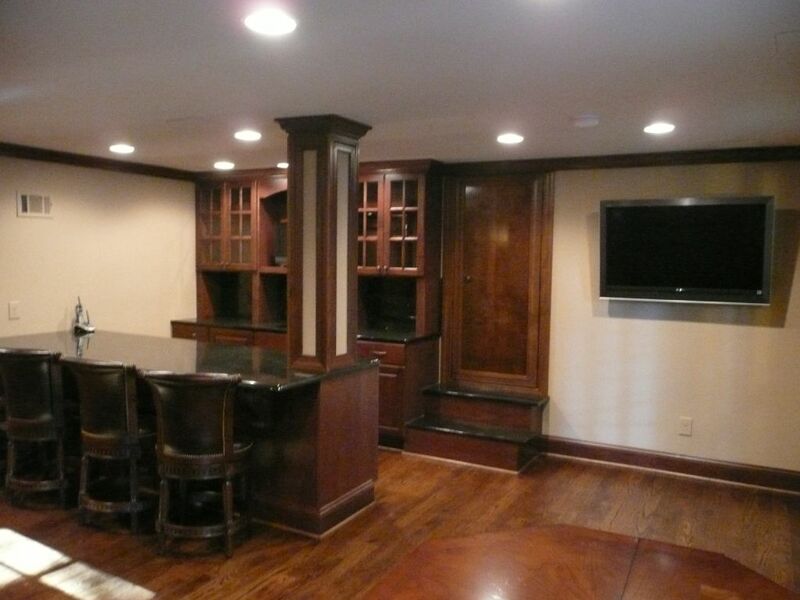 We installed red oak hardwoods, cabinets, built ins and mill-work were all custom made with “New cherry lyptus” stain. 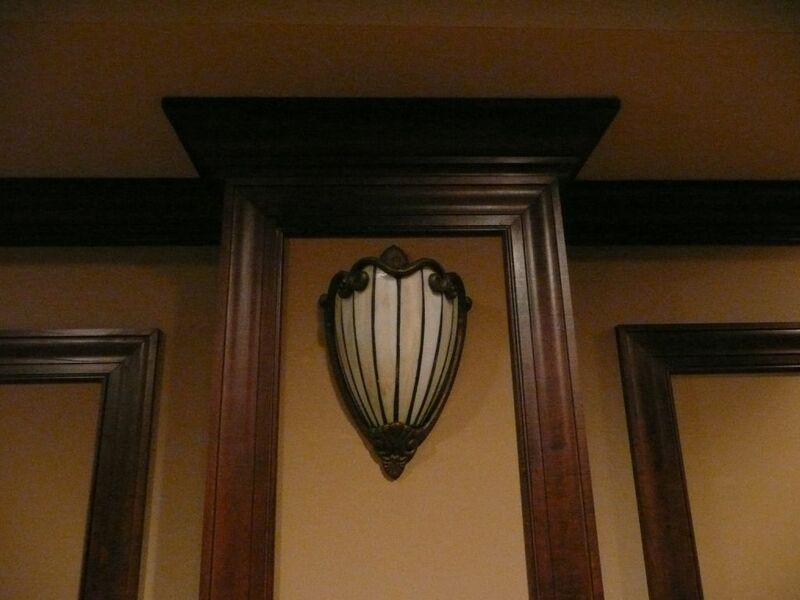 Support columns and doors where covered and stained with paneling and mill-work for a smooth flow and integration into the adjacent areas and for an overall consistent look and feel.